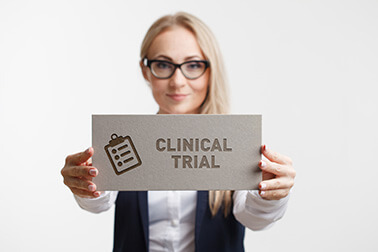 Clinical trials evaluate new drugs, medical devices and treatment regimes to prevent, diagnose, and treat disease. 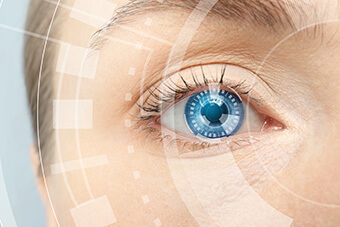 At Colorado Eye Consultants we are focused on clinical trials that offer treatment for various eye diseases. Not everyone can participate in a clinical trial, but finding volunteers is very important! Clinical trials are at the heart of all medical advances. Clinical trials look at new ways to prevent, detect or treat disease. The goal of a clinical trial is to determine if a new test or treatment works and is safe. Some people say they participate in research to help others and to contribute to moving science forward- others not only participate for future generations but choose to participate to possibly receive the newest treatment and to have the additional care and attention that comes from being in a clinical research trial. -Clinical trials may involve risk, as can routine medical care as well as daily living activities can. Most clinical trials pose the risk of minor discomfort, which lasts only a short time. The specific risks associated with a research trial are described in detail in the Informed Consent Form, a document that you will go over and be asked to sign prior to participation. Before deciding to participate, carefully consider the risk and possible benefits. -Many clinical trials are randomized and involve a Placebo, or inactive medication. Generally, the patient as well as the trial doctor will not know what the patient is randomized to during the trial. Randomization creates treatment groups that are alike as possible so the data from the control group (placebo) can be compared to the group on the trial medication. This comparison provides the best way to prove the safety and efficacy of a new medication. Study of an ophthalmic solutions vs Placebo in patients with Non-Infectious Uveitis/Iritis. Anterior uveitis is an inflammations (swelling) of the middle layer of the eye. This trial medication is thought to “trap” and inhibit the actions involved in ocular inflammation, without the side effects seen with ocular steroid use. Participations will last approximately five weeks. Trial medication will be administered, at home for approximately four weeks. There is no charge for study participation. Compensation for time and travel is provided. This study is to evaluate the results of Epithelium on corneal Crosslinking in patients who have Keratoconus, Ectasia and other corneal disease. There are three treatment groups of varying times and intensities of UVA light. There is NO placebo treatment. Participation will last one year, with visit occurring every three months. Patients will not be compensated for time and travel. Call the clinical research department for pricing information at 720-709-7533 or 720-709-7523. Inflammation has a prominent role in the development of dry eye disease. Ocular corticosteroids are used to treat many ocular conditions that have an inflammatory component. This trial medication is an ocular corticosteroid, formulated differently than other corticosteroid in hopes of enhancing penetration of the tear film, and thus improving the medication efficacy. Participation will last approximately four weeks. Trial medication will be administered at home. There is no charge to participate in this trial. Compensation for time and travel will be provided. Lacritin is a protein found in human tears and has been found to be limited in all forms of dry eye and is largely absent in the tears of patients with Dry Eye associated with Sjogren’s Syndrome. The trial medication is a manufactured form of Lacritin. Participation will last approximately eight weeks. Trial medication will be administered at home for six weeks. There is no cost to participate. Compensation for time and travel will be provided. Trial of suppressive valacyclovir vs Placebo in immunocompetent patients who suffer of complications of Herpes Zoster Ophthalmicus. The purpose of this trial is to determine if one year of a low dose of valacyclovir reduces complications of shingles affecting the eye surface such as infection of the eye, inflammation of the eye, and postherpetic neuralgia (ongoing pain after the shingles infection goes away). Participation will last approximately 18-21 months. The trial will include eight scheduled visit occurring every three months for 18 months. Medication will be administered at home for up to 18 months. There is no cost to participate in the trial. Compensation will not be provided. A gradual, age-related loss of the eyes’ ability to focus actively on nearby objects. Dr. S. Lance Forstot is a board-certified ophthalmologist and founding partner of Corneal Consultants of Colorado/Colorado Eye Consultants. Dr. Forstot has been recognized as one of the nation’s top doctors of ophthalmology including being selected in “the best doctors in America” (1996-current). 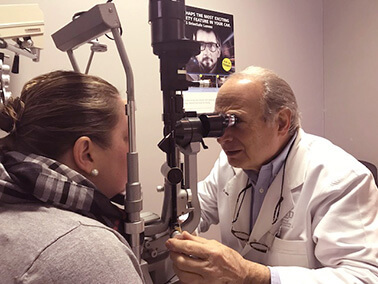 With over 4 decades of experience working in ophthalmology, Dr. Forstot is one on the top leaders in corneal treatment including clinical research. Dr. Forstot has a vast knowledge of clinical research, and alternative treatments for patients who are experiencing issues such as keratoconus disease, dry eye disease, presbyopia and many other disorders. Dr. Forstot is supported by a clinical research team with almost two decades experience and include a certified clinical research coordinator as well as a certified optometry technician.